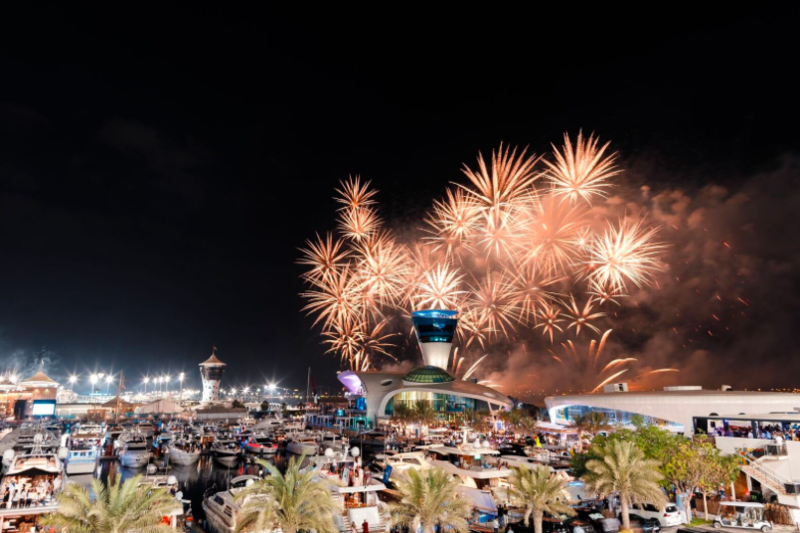 Abu Dhabi, UAE August 2018: Yas Marina welcomes visitors to celebrate Eid al-Adha, immersing themselves in a feast for the senses, with eye-catching sights and a whole host of tempting tastes. Abu Dhabi’s favourite destination will light up at the stroke of 9pm with breath-taking fireworks, where vibrant colours will reflect over the stunning Arabian waters, leaving audiences in awe every night over the three-day occasion. From quirky food trucks to Yas Marina’s award-winning restaurants including Cipriani Yas Island, Iris, Aquarium, Diablito and Stars ‘N’ Bars, residents and visitors are in for a variety of treats. Those looking for a unique way to spend time with loved ones, can board ‘Captain Tony’s Eid Fireworks Cruise’ to experience the majestic firework display on the water. This Eid Al Adha, Yas Marina visitors can book an evening cruise with Abu Dhabi’s first eco-conscious boat tour operator, Captain Tony’s. While taking in views of the glisten- ing marina and watching the skyline ignite, guests can enjoy the traditional dhow expe- rience with Arabic coffee and dates. The dhow will depart from Yas Marina daily, be- tween 8.30pm and 9.30pm, for a journey around the inshore island under the 9pm fire- work display. tasty food, lounge music and views elevating the dining experience to new Insta-worthy levels. Delectable seafood specialties are served at Aquarium, and during this Eid period fami- lies are welcome to enjoy a free kids meal upon purchase of a regular main course on Wednesday till Saturday, between 12noon until 7pm. Foodies can also dine al fresco at one of the food trucks along the promenade while taking in the sparkling sky. For an evening of exceptional Italian delights, panoramic views of the captivating fireworks and vibrant family hospitality, Cipriani Yas Island is the place to make unforgettable memories this Eid al-Adha.